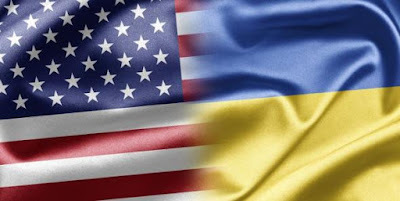 WASHINGTON, DC -- At this critical moment for the future of Ukrainian, Europeanand U.S. interests in the region, the U.S.-Ukraine strategic partnership lacks both strategy and partnership. This much is clear after meetings with Ukraine's political leaders, journalists, academics, civil-society activists and volunteers active in the conflict zone during our recent trip across the beleaguered nation. Ukraine's appeals for U.S. support have only grown louder and more desperate as renewed fighting flared around Donetsk in the past week. Washington and Kiev have reached the limits of what political rhetoric, summitry and symbolism can achieve. Both must now identify the vital national interests that can build and sustain a partnership between the two countries for the foreseeable future. If they don't, the two nations risk continuing a relationship that will disappoint and ultimately alienate Americans and Ukrainians alike. Ukraine has already transformed in crucial ways since the Maidan demonstrations in 2013-14. It is on a path leading away from its Soviet and post-Soviet legacies. Yet its course toward a Western European alliance is not yet open or irreversible. Ukraine's future will be shaped by reform-minded political leaders and an awakened civil society. But also by longstanding, powerful oligarchic interests and pervasive corruption. Reforms have been sluggish, to the dissatisfaction of many, including the ruling political coalition. Each attempted reform reveals the need to fix other components of governance, the political system or the economy. Positive effects are slow to be felt and public patience wanes. Russia's annexation of Crimea and occupation of the Donbas have altered both Ukraine's delicate domestic regional power balances and the relative equilibrium among the country's most powerful oligarchs. Part of the country grows tired and angry from the grinding reality of war, while another part seems oblivious to it. Many Ukrainians we spoke to repeatedly said they have little confidence that the current constellation of political leaders can deliver on promises they have made at home and abroad. Even many people in the government cautioned against framing U.S.-Ukraine relations in terms of support for one or several domestic political forces and their agenda. Doing so, they said, could draw Washington into a byzantine game, in which oligarchic power-brokers hold most of the cards, and in which the doors would stand wide open to these same Ukrainian actors seeking to play for influence in U.S. domestic politics - an unhealthy development by any measure. For more than a quarter century, the United States has supported Ukraine based on shared values and interests. But official Washington is now deeply vested in the success of the new Kiev government formed after the 2014 elections; senior U.S. officials have called their Ukrainian counterparts "courageous" and "inspiring." So Washington has little leverage on the Ukrainian leadership to follow through on specific policy reforms. Under these circumstances, politicians and parties, their oligarch backers and many new civic groups all seek U.S. support and close ties with Washington. It is beginning to resemble an emerging client-state relationship in search of reliable patronage. This is hardly the relationship the Ukrainian and American people want. But in the absence of a strategic vision and a framework for strategic partnership, it is likely what both could end up with. To avoid this, much can be done. First, Washington should endorse Kiev's leading political figures and their agenda with the same degree of caution and circumspection as the Ukrainian people support them. Washington must stop believing that it can be an active player in Ukrainian politics to achieve a desired change. Instead, the U.S. objective should be to work on the overarching problems that create instability and threaten Ukraine's future: the disastrous state of the economy and the conflict with Russia. Both are vexing and beyond the capability of the Ukrainian state - under any leadership - to solve by itself. Next, Washington should work with Kiev to lay the framework for a bilateral strategic partnership. This should be based on a clear definition of mutual interests and values, and realistic expectations for the short, middle and long term. Instead of a few favored partners or signature projects in Ukraine, Washington should look for spheres of cooperation that serve the interests of both nations. It must forget the tired formula of persuading Ukrainians to pick a pro-Western path as a vehicle for foiling Russian-led integration projects. A new approach can build a foundation for sustained bilateral engagement with Ukraine as a whole - well beyond the period after the fighting with Russia has ended. Finally, Washington must demonstrate strategic patience. Ukraine will likely progress more slowly and more fitfully than Americans would prefer. A strategic partnership based on clearly defined values and interests will help both sides navigate the potential misunderstandings and significant challenges that lie ahead.